Vocals Only: My voice hurts when I sing! 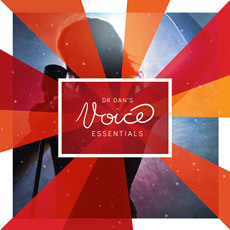 We spend a lot of time here at Voice Essentials talking about the importance of vocal health and the need for every singer to monitor the condition of their voice. But as the old song goes, it’s a fine line between pleasure and pain. How do you differentiate between normal muscle fatigue and laryngeal stress which might endanger the health of your voice? And more importantly, when should you take you and your voice to the Ear’s Nose and Throat doctor for a vocal check-up? Posted on June 30, 2016, in Singing, Uncategorized, Vocal Health, Vocal Pedagogy, Vocal Technique and tagged Singing, vocal health, Vocal Technique. Bookmark the permalink. 2 Comments. Thanks, was really looking for this. Have had a hurting voice for quite sometime, and ignored it, now have had to go to see the doctor and he said i cannot sing for a while.